Tenerife has long history of welcoming travellers to its beaches. But, alongside sun and sand, there’s plenty of the unique to this island idyll, as well as a selection of boutique, luxury hotels. 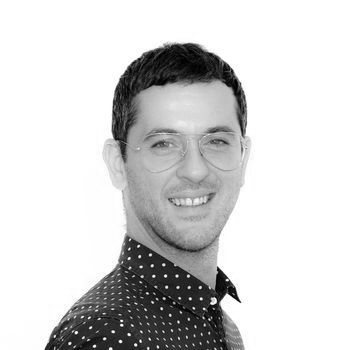 With this in mind, Europe specialist Chris Kyprianou picks out his insider tips, ranging from wine-paired whale watching to secret tapas restaurants. Hosting no fewer than three Starlight Reserves, Tenerife is one of the finest destinations for stargazing the world over. Offering the clearest and cleanest skies in Europe, its high altitude and low levels of light pollution make for spectacular displays of the entire Milky Way, stretching right across the night’s sky in colourful bursts. It’s a truly special experience, not least when paired with a Michelin-standard dinner with a professional astronomer. Take a look at our southern Tenerife itinerary for more information. 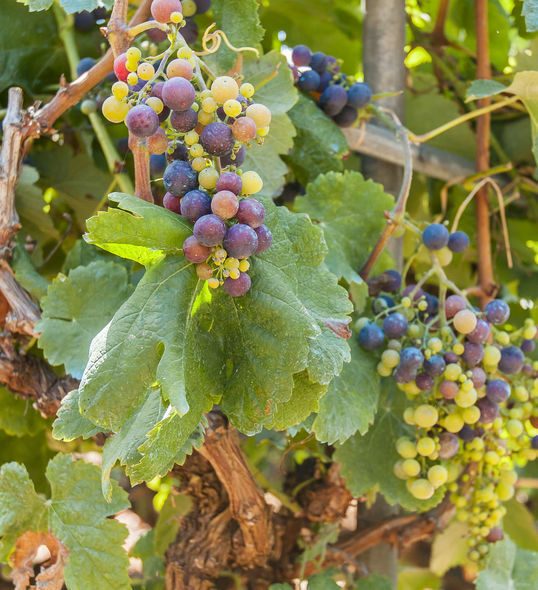 Perhaps somewhat surprisingly, wine has been produced on Tenerife for over 500 years, once having been a favourite among European royalty – something referenced by Shakespeare himself. And, the tradition continues today, with winemakers favouring local grapes over international counterparts. When paired with the volcanic soil and high altitudes, the result is something truly inventive and delightfully unique. Our recommendation? Get yourself to the 18th-century Bodegas Monje winery, where sommelier-chosen tastings are set to spectacular views over the El Teide Volcano. 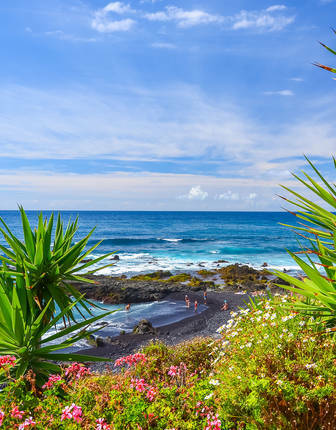 In Tenerife, moving away from the beach rewards with verdant valleys, volcanic lunar landscapes and even sky-scraping peaks. 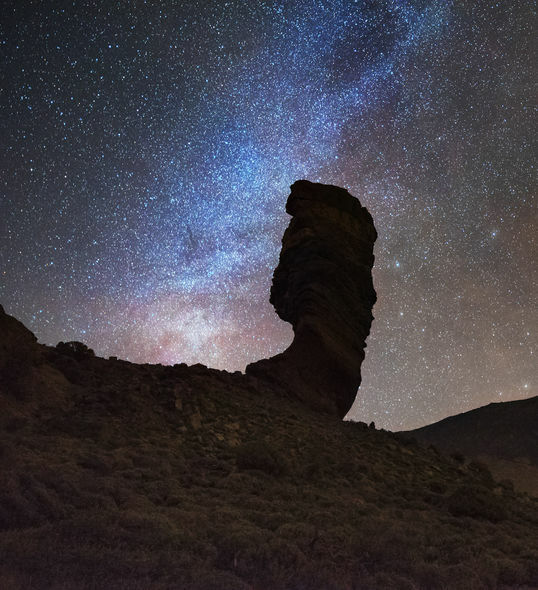 UNESCO-listed Teide National Park is an obvious highlight, where petrified lava fields and otherworldly rock formations offer stunning sunset views over the entire island, not least from the cable car. 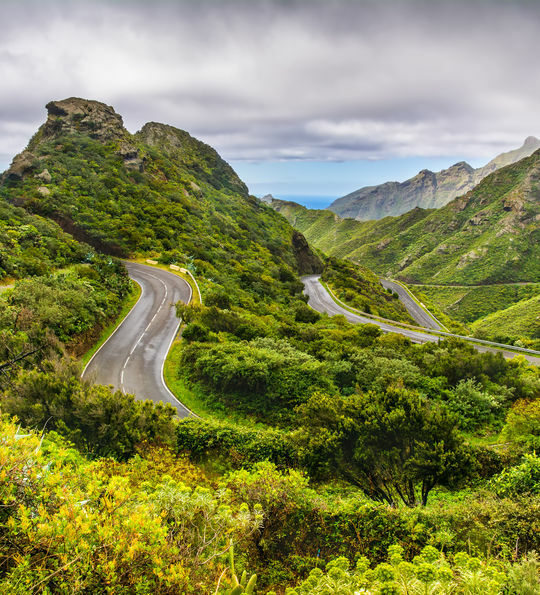 Then, get yourself to the Masca or Orotava valley, where stunning green-dappled ravines are terraced into pretty vineyards and botanic gardens. Whichever you choose, it’s all delightfully accessible on ranging hikes or private-driver tours. Alongside the aforementioned Teide National Park, Tenerife’s other World Heritage treasure is San Cristóbal de La Laguna. All pastel-coloured buildings and Spanish-colonial charm, you might be forgiven for thinking that humble Laguna was just about plaza-side good looks, with its 500 years of history showcased in grand cathedrals, marbled fountains and opulent palaces. However, much of today’s cities owes Laguna a debt of gratitude, with its 16th-century grid system exported to the great cities of the Americas, having inspired settlers on their way to the New World. It may come as a surprise that Tenerife ranks among the world’s premier whale-watching destinations. Like the weather, these mighty creatures stick around all year, with plenty of resident pods of pilot whales joined by migrating species passing through. 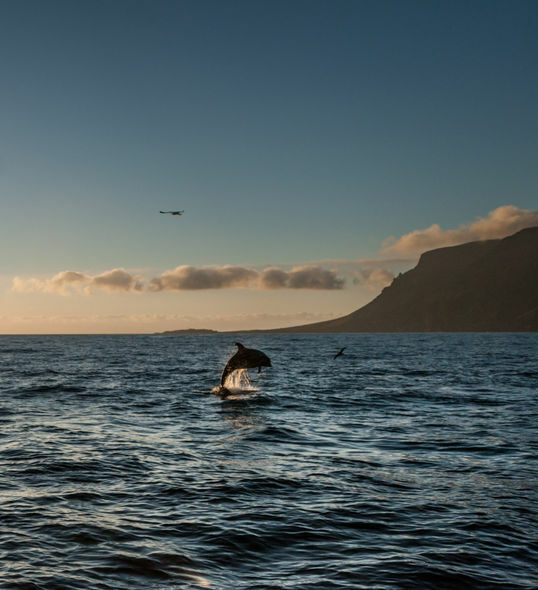 And alongside giant sperm whales and rare orcas, you can also expect to spot a full range of dolphins, with the resident bottlenoses found just off the coast. 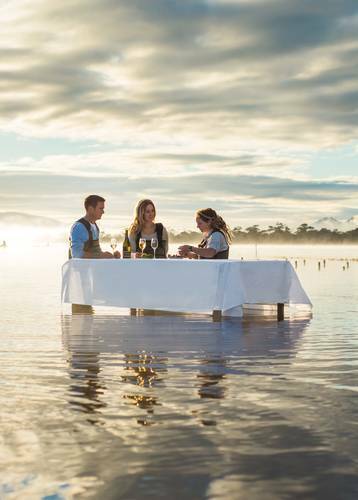 To see them in style, be sure to book onto a private catamaran, where sightings are toasted with glasses of fizz. 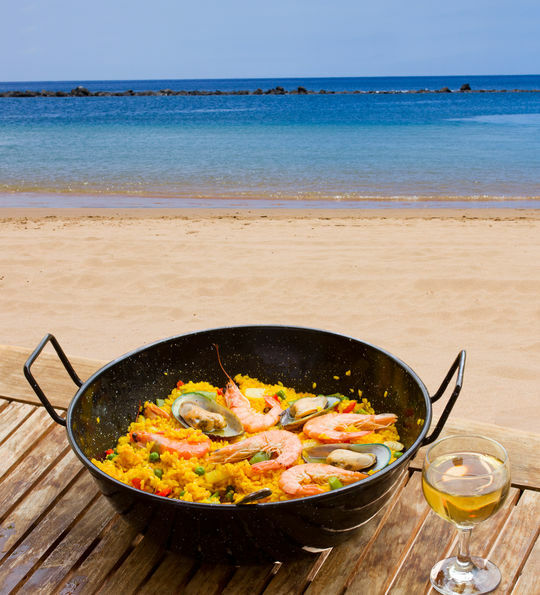 Tenerife has a long history of preparing simple dishes well, with dining invariably informed by fresh, local ingredients. And, this being Spain, tapas is a special highlight. Expect everything from lightly baked goats’ cheese to hearty rabbit stews. Of course, the seafood is a further favourite, including fried squid snacks and pan-fried catch of the days. We also recommend getting out of town for a rustic eatery, with Restaurante La Piedra offering excellent tapas spreads and fantastic views over the Masca Valley. 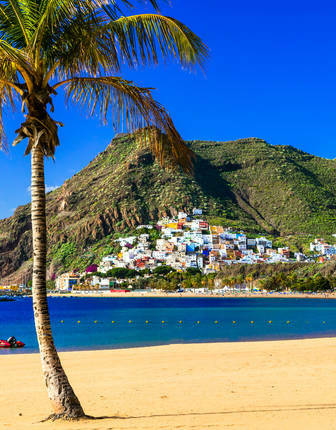 Yes, Tenerife’s golden sands are well documented, but, if you look a little closer, it’s quite possible to find a favourite beach of your very own. Our advice? 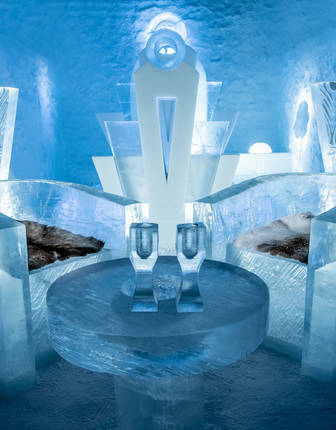 Book onto a hotel with an exclusive beach club or focus on the north. As the island’s lesser-visited side, it’s host to a string of black-sand offerings that simply don’t draw the same crowds as their southern counterparts. And, they’re also joined by a string of cutesy old towns along with plenty of verdant rural idyll. 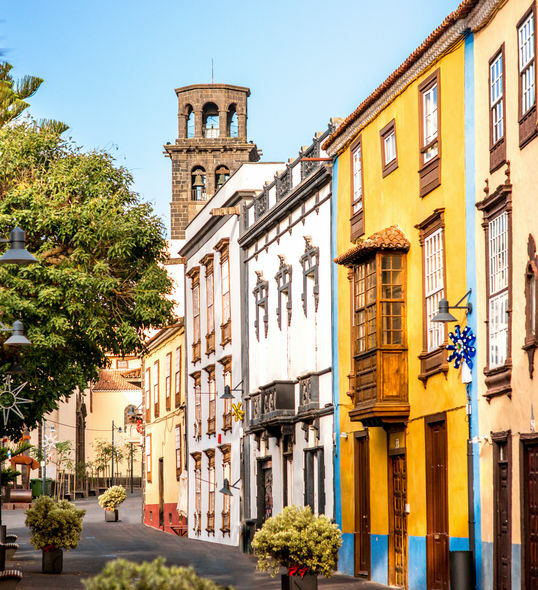 Head to our northern Tenerife itinerary for further inspiration. Take a look at our classic southern Tenerife itinerary or our off-the-beaten-track northern Tenerife alternative. 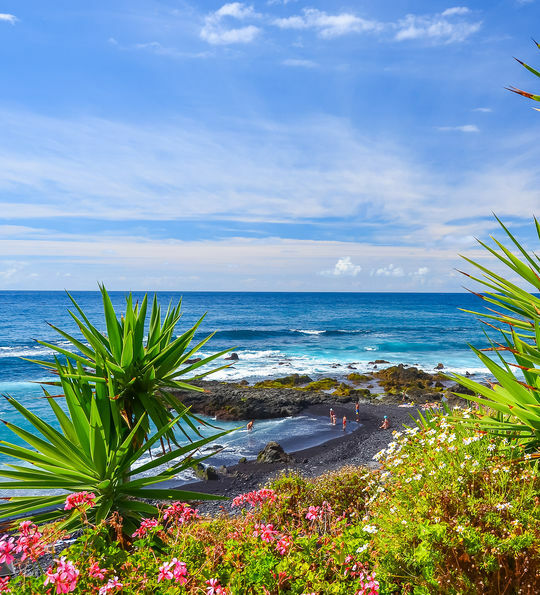 See Tenerife's south at its best, staying in a luxury hotel, enjoying a private beach club and exploring with unique tours, from whale watching to wine tastings.